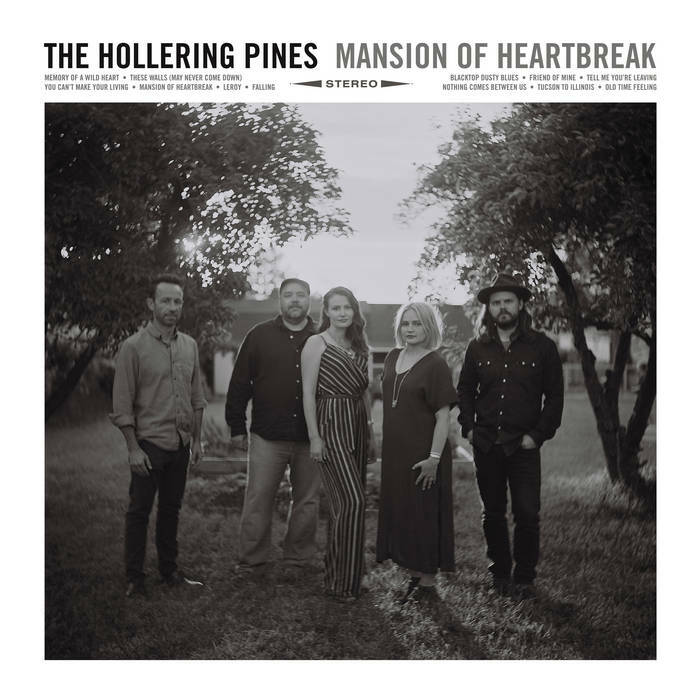 The Hollering Pines call their sophomore album a collection of "worried songs for worried times." And while it's not surprising that I'd write about music with an underpinning of anxiety, that's not necessarily what I'd call Mansion of Heartbreak. Certainly the album confronts lots of different kinds of pain -- betrayal, lost love, lost work -- but there's a gentleness at play that offsets the pain. If you listen to the Hollering Pines, you'll walk away with the unshakeable sense that these are just passing troubles. What I love most about this band is the way they fit together. Lead vocalists Marie Bradshaw and Kiki Jane Sieger trade harmonies like they've been doing it their whole lives -- which makes sense, since they're sisters. Their interplay reminds me of early Mount Moriah. The music is dense and layered but glides smoothly. The rest of the band is a tight unit as well, cruising through swing, ballads, and rockers with confidence and grace. This is what a good old bar band should sound like: expert music that'll keep you tapping your feet, drinking, and maybe a little crying. Help us help you find great music! Please contribute for $1+ a month to our Patreon or drop a one-time tip into our Ko-fi cup (via Paypal)!